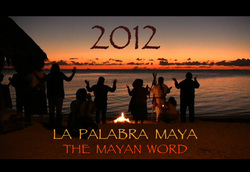 This groundbreaking documentary from Undercurrents brings us the voices of the Mayan people as they share their perspectives on the prophecies of their ancestors. Undercurrents utilised a secret camera for this production. In July 2011, British people flew into Tel Aviv airport and stated their destination was Palestine. Five hours later they, and another 120 internationals, were in a high security prison in Israel.An undercurrents reporter smuggled out this hidden recorded video of their six nights locked up in the high security prison in Israel.The video clips shows how the women were forced to scrub the prison floors in exchange for coffee. Life inside the hot cells and tense interactions with the Israeli guards were all captured. Over a decade, Helen, a co-founder of Undercurrents went in search of a sustainable way of life. Along the way she recorded the UK's most high profile campaigners on low impact living. Her journey took her to Crystal Waters Permaculture village in Australia, Sunseed Desert Technology centre in Spain, Findhorn spiritual community in Scotland, The Village in Ireland and the low impact settlement, Tinkers Bubble in Somerset England. 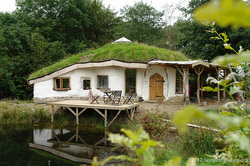 The main strand of the film follows the story of Lammas- Britain's first planned Ecovillage to be developed in England and Wales. Britain's only Asian clown goes to Sri Lanka aiming to help children recover from the 2005 Tsunami and decades of civil war.Kingsley Perera, whose clown name is Theeeko, goes on a physical, emotional and spiritual journey across the tropical island. But can a Welsh clown with a conscience really make a difference? Undercurrents follows him as he goes back to his roots in Sri Lanka to help relieve the traumas of the Tsunami. Life Before Death explores the experiences of two women & their daughters as they face terminal illness. However, far from being a morbid lament, the film develops into an uplifting meditation on finding acceptance when faced with the most critical time of our life. 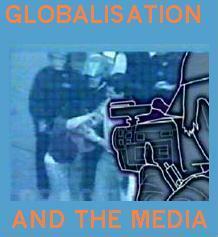 An award winning documentary by Undercurrents exploring the role of the mass media during the War on 'Terror' & Economic trade. Consider a wide range of viewpoints from mainstream news editors, computer hackers, journalists and media activists. Discover how new technology, such as the Internet and camcorders, are challenging the role of the traditional news gatherer. The TV comedian reveals, in a stand up show, the inside story on how he upset the U.S secret service by putting a bounty on the life of President G.W Bush. Mark also displays how he legally obtained police surveillance images of himself. Watch the DVD and find out why the funny man was forced to sing for his life underneath a busload of East London arms dealers. Dodge wildy as he takes potshots at foxhunters, advertisers, and a host of multi-national corporations. Find out why all U.S presidents are either Pepsi lovers or Coca Cola dribblers. The war on 'Terror', ID cards, animal rights, Scottish Politicians and just about everything gets a look in during his inspired comedy. 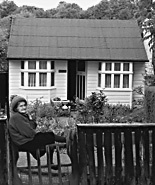 In 1997 Undercurrents produced a documentary about the battle to save a community of chalet dwellers on Gower, South Wales. This is their story.